Nov. Sunday 27, 1864. Independence Iowa, It has been very disagreeable today not mutch of note today. I we did not home today or in the evening. 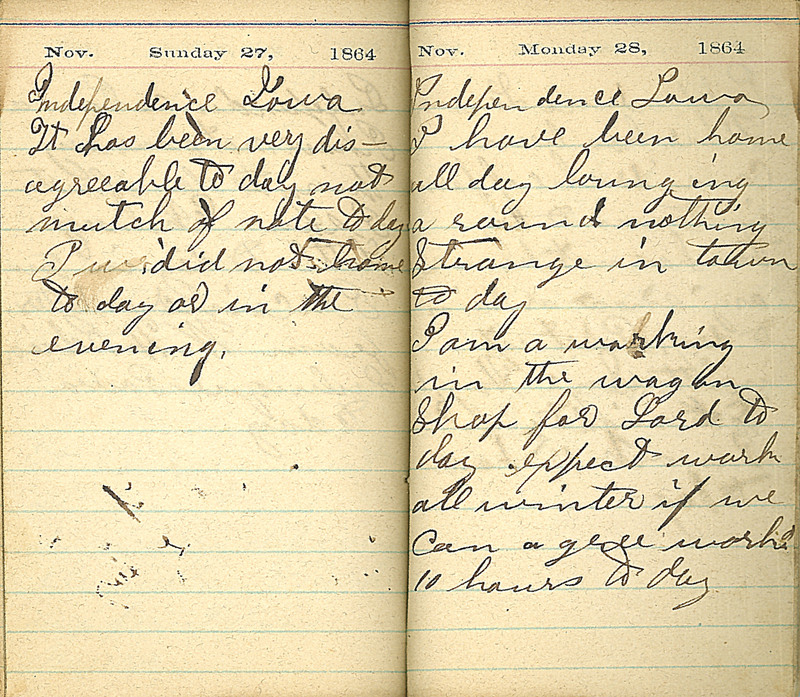 Nov. Monday 28, 1864. Independence Iowa, I have been home all day lounging around nothing strange in town today. I am a working in the wagon shop for Lord today. expect work all winter if we can agree work 10 hours today.